Home / CRUISING THE PAST / Cruise Line History – Steamship race from Australia to New Zealand across the Tasman Sea – 1938 – TSS AWATEA (Union Steamship Company) vs the SS MAIRPOSA (Matson Lines). Cruise Line History – Steamship race from Australia to New Zealand across the Tasman Sea – 1938 – TSS AWATEA (Union Steamship Company) vs the SS MAIRPOSA (Matson Lines). TSS Awatea racing the SS Mariposa across the Tasman Sea. 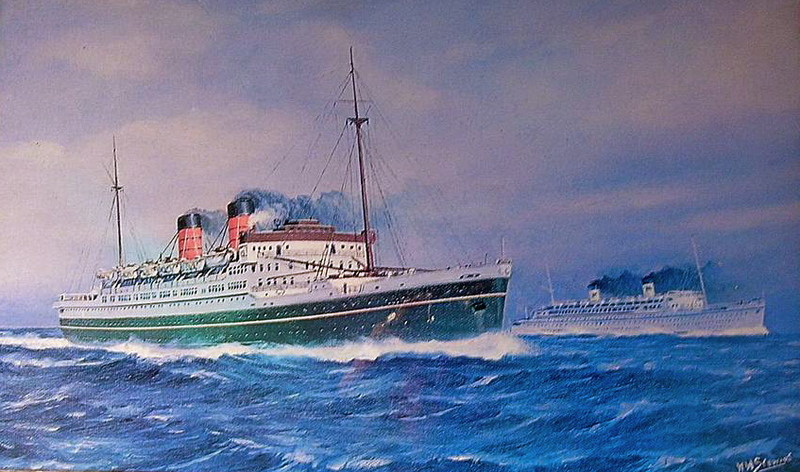 Painting by W.W. Stewart of the TSS Awatea (Union Steamship Company) overtaking the S.S. Mariposa ( Matson Lines) on 13th August 1938 at 2pm in the Tasman Sea between Australia and New Zealand. 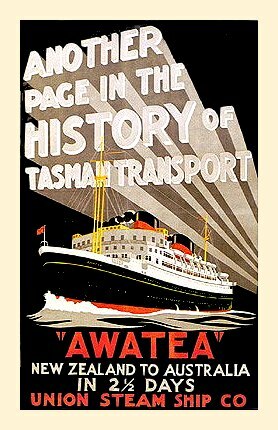 In her day the Awatea was regarded as one of the most luxurious and fastest liners of the period. Her history was brief and she was destroyed in World War2 like so many wonderful liners.